For defendants who have been convicted of a felony or misdemeanor offense in which there was a victim who suffered a loss, the Court will typically require the defendant to pay restitution to the victim as a condition of probation. Victims under the law can include a person who has suffered physical, psychological or financial harm, the family of those who were harmed and businesses who were harmed. Losses can include the cost to replace or repair property, medical bills, lost wages for the time the victim was unable to work and attorneys’ fees. For all defendants who are convicted of any criminal offense, part of the court-imposed fine goes directly to the California Victim’s Compensation Fund. This is required regardless of whether or not there was actually a victim in the case. The Victim’s Compensation Fund is a state-sponsored program that offers assistance to the victims of violent crime and their families and is able to pay for things such as funeral and medical expenses. Under the law, crime victims are entitled to recover the full amount of any restitution owed. At the time of sentencing, the judge will order that the defendant pay restitution as a condition of probation and will set a date for a restitution hearing to determine the amount owed. It is not unusual for certain counts to be dismissed against a defendant as part of a plea agreement. In these cases, the judge will take a Harvey waiver from the defendant so that the victim is able to recover restitution for any dismissed count. The parties will return to court on a later date to address restitution. The prosecutor will typically reach out to the victim regarding any restitution claims. If the prosecutor has not heard from the victim at the time of the restitution hearing, the matter will be taken off calendar. If the victim comes forward with a claim in the future, the defendant would still be responsible for paying. In many DUI cases involving traffic collisions, the defendant’s insurer will have fully compensated the victim. The victim would not be entitled to restitution for any amount they have already been paid, though they may be able to recover out-of-pocket expenses, such as their deductible. 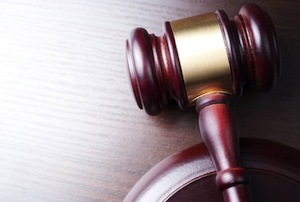 If the defendant contests the amount of restitution owed, the court will hold a hearing. The victim would be required to prove that the defendant’s conduct substantially caused the loss that is being claimed and that the expenses are legitimate. A victim will usually prove this by providing bills and other financial records documenting his or her losses. The defendant can challenge the amount and may be able to present evidence showing that the bills are inaccurate or unrelated. The amount of restitution owed can be extensive, and the court may allow the defendant to make payments over the course of his or her term of probation. These payments may go directly to the victim or may be handled through the probation department. If the defendant fails to pay restitution, the judge may issue a probation violation. Only a willful failure to pay restitution can result in additional penalties, such as jail time. This means that if a defendant honestly lacks the funds to pay restitution, he or she cannot be punished. In these cases, the court will hold an ability to pay hearing. The defendant’s payment plan may be adjusted accordingly. In addition, the judge may extend the defendant’s probation period to ensure that the victim can be fully compensated. In some cases, the judge may convert the amount owed to a civil judgement against the defendant that would attach permanently. Defendants who have been convicted of domestic battery in violation of California Penal Code Section 243(e)(1) PC are not allowed to pay restitution with community property that belongs to the spouse who was harmed. The defendant would have to show that the funds came from separate property in order to comply with the law. If you have been charged with a crime and you believe there may be victim restitution involved, or if you have been ordered to pay restitution, it is very important that you consult with a Los Angeles Criminal Defense Attorney immediately. Los Angeles Criminal Defense Attorney Michael Kraut is a former Deputy District Attorney with over 14 years of prosecutorial experience who possesses an extensive knowledge of criminal law and understands how best to represent his clients. For more information about Los Angeles victim restitution, and to schedule your free consultation, contact Los Angeles Criminal Defense Lawyer Michael Kraut at the Kraut Law Group located at 6255 Sunset Boulevard, Suite 1480, Los Angeles, CA 90028. Mr. Kraut can be reached 24/7 at 888-334-6344 or 323-464-6453.